Editor's Note: This is one of those weeks that you get to learn a little more about me. The "Weah-dition" is a way of bringing together the sound that I, and many other of that rare species of die-hard American men's national soccer team fans, made as the US men were eliminated from the World Cup; the fact that famous footballer George Weah is leading the Liberian presidential elections; and to tie into one of our common themes on migration and labor mobility, that George Weah's son, Timothy, is currently in India starring for the US U-17 men's national team (while under contract for Paris St. Germain). You'll see these themes return in the items below. 1. Evidence-Based Policy: Yesterday I was at a workshop hosted at Yale SOM and funded by the Hewlett Foundation on how to better connect evidence to policy. The workshop was part of a bigger project and a series of reports are coming that I will share when they are available. There was a lot of good discussion, but I thought I would share two thoughts that I find to be missing appropriate weight in evidence-based policy discussions. First, there is often discussion of a mismatch in the time horizons of researchers, implementers and policy makers. While this is no doubt true, the mismatch between those groups is trivial in comparison to the mismatch all those groups have with the amount of time it takes for change that people can feel to occur. Deworming's important effects--on earnings, not school attendance--are only felt decades after treatment. Moving to Opportunity similarly has a decade-scale effect. Few if any of the researchers, implementers or policymakers are still going to be around when the world really is undeniably different because of them. Which brings me to the second point. The enterprise of evidence-based policy is grounded in marginal improvements across large groups of people--and that's a good thing! I'm a big believer in the value of marginal improvements (QED). But people have a really, really hard time noticing or caring about marginal improvements. Human beings prefer stories about big changes for a few people with unclear causality a lot more than they do about marginal gains with sound causal inference. I'm more and more convinced (because of evidence!) that hope is a key ingredient for even marginal impact, but hope comes from Queen of Katwe, not from 1/10 a standard deviation improvement in average test scores. So the unanswered question for me in this conversation is, "How do we manage the tension between the policies that are good for people and the policies that people want?" In other evidence-based policy news, here's a rumination on the difficulty of applying research to practice in democratization (specifically Myanmar). And here's Andrew Gelman on not waiting for peer review, particularly in Economics, to start putting evidence into practice. 2. Evidence-Based Operations: OK, so there's one more thought: the gap between policy and research, and operations. But rather than a long discussion on that topic, here's a very good new piece on the operational choices of front-line social workers and the gap between policy (whether evidence-based or not) and practice. The challenge in the spotlight is not the Marxist-style view of workers dissociated from their work by rules but workers dissociated because of having too many morally-fraught choices. More light-heartedly, here's a piece that illustrates how hard it is to go from evidence to operational choices, as reflected through the failure of the US men's soccer team (I told you it would return). There is growing attention to front-line staff and the "product" as actually experienced by the beneficiary in impact evaluations, but much more is needed as far as I'm concerned. 3. Our Algorithmic Overlords: Speaking of operations, one of the areas where more attention is needed is the way that operations are being instantiated into algorithms that are opaque or entirely invisible. Ruben Mancha and Haslina Ali argue that that the unexamined algorithm is not worth using. Of course, they are arguing from ethics, not from business profits, where it's abundantly clear that unexamined algorithms are worth using. Here's a piece about technology-related predictions from Gartner, a tech industry research and advisory company. Skip the first three to see some striking predictions about AI-generated false information, such as that people in "mature economies will consume more false information than true information." There's a threat to advancing evidence-based policy that definitely wasn't on the agenda yesterday. I started my career at Gartner way back in 1995 and I remember one of the first things we were given to read was an an article in Scientific American about the coming age of fake photography and video. Apparently that future has finally arrived. 4. American (and other) Inequality: I've been meaning for awhile to mention Richard Reeves' newish book, Dream Hoarders (the thesis is that the upper middle class is passively and actively working to close the door to upward mobility for those below them). I'm finally getting around to it via a few recent pieces. 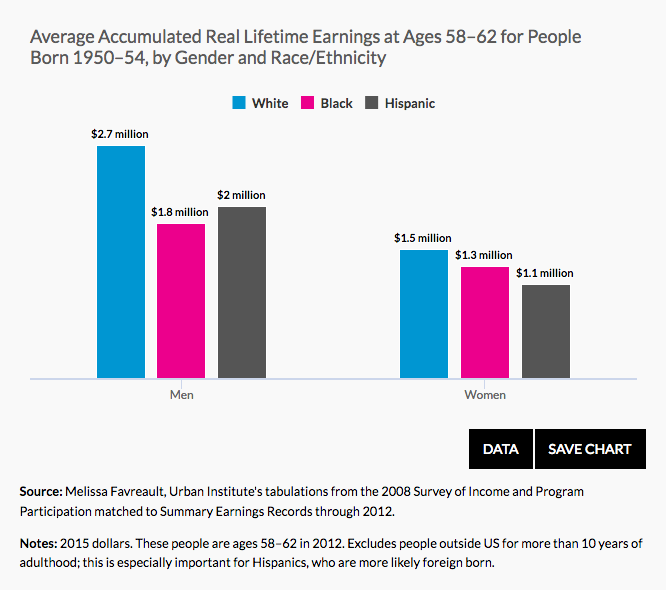 First here's a look at the persistence of the American upper middle class, specifically how white it remains. And here's a piece about the perhaps surprising upward mobility in rural counties. Back to Dream Hoarders specifically, here's a review from Noah Smith that dwells on the "don't focus on how the pie is split, grow the pie" critique. I find I'm much more persuaded that the best way to grow the pie in America today is to change the way it's split. Meanwhile, here's Eduardo Porter on the growing gap between big cities and small cities. And moving beyond the US, but definitely applicable, here's the IMF(!) on using fiscal policy for redistribution and reducing inequality. 5. Migration: In an attempt to wrap everything up, here's a piece about Syrian refugees in Turkey, which paints a remarkably positive picture of business creation, job creation and economic growth. The Turkish economy and Turkish workers seem to be seeing substantial gains both in the short- and long-term from the presence of Syrian refugees. In fact, you could argue that changing the way the pie is split between the Syrians and Turks in terms of access to safety (and access to safety, by the way, is one of the things that the upper middle class in America is hoarding) is growing the pie for everyone. It's also similar to the benefits that George Weah's ability to flee violence in Liberia is benefiting America's soccer team and PSG over the long-term. Of course, most of the polity in both cases is focused on the short-term costs rather than the longer-term average marginal gains. 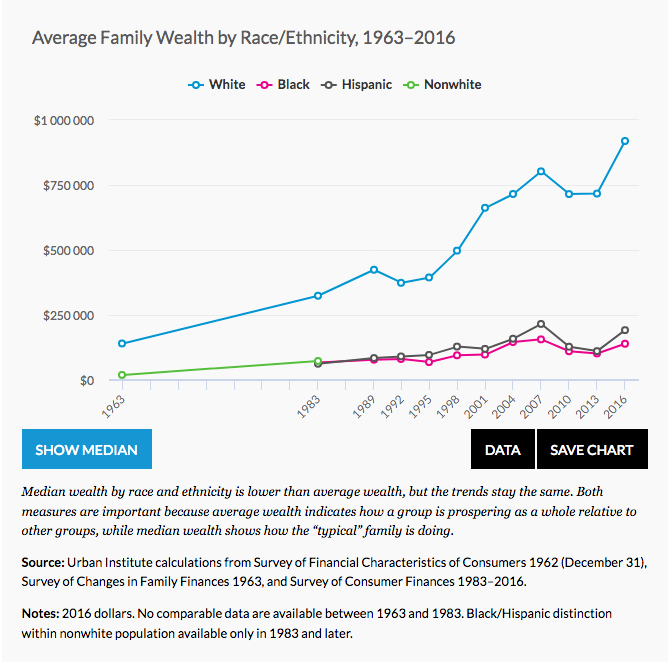 Returning to the theme of inequality, the Urban Institute has updated it's 9 charts about wealth inequality in America.